There is a new night club in Ottawa. The club with members seeking cheaper gas prices. They roam at dusk because a trend has been established: evening hours offer relative “bargains,” such as they are, given the high prices at the pumps this spring. Gasbuddy is an online app that helps consumers find competitive prices in their area. Predictably, gas prices jumped over the Victoria Day weekend, approaching $1.40 per litre on Sunday. Yet, there were also sharp fluctuations, as has been the trend for months. For example, on Saturday morning, most stations in Ottawa featured prices around $1.38. or higher. By late afternoon, it wasn’t hard to find a station with regular gas around the $1.28 range. Some fell even lower into the evening. On Merivale Road, with a string of gas stations between Baseline and Hunt Club, price fluctuations and matching are par for the course. In fact, the cheap Costco prices – often three to four cents below the lowest station in the area – seem to drive competition on Merivale. 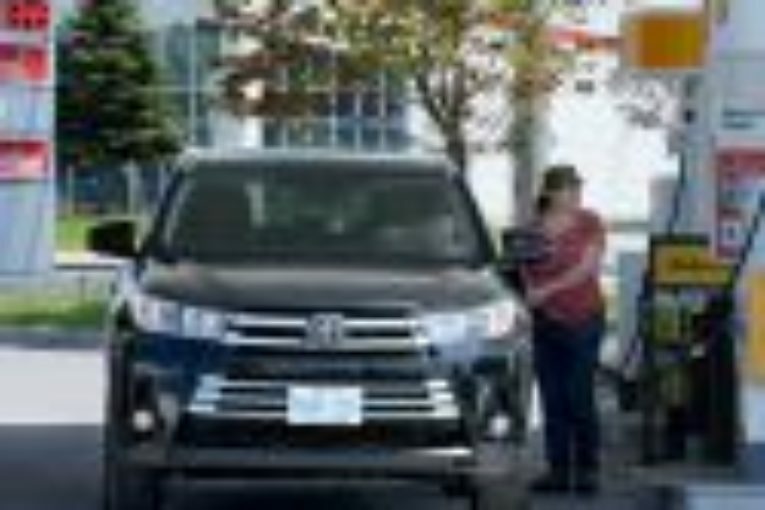 On Monday, with Costco closed, prices held firmer, $130.9 at the stations that were open – still a bargain compared with $1.38 at a trio of stations near Greenbank. McTeague says a box store like Costco has numerous other means to reap revenues, including membership fees, and can sell gas below cost to attract customers or reward members. Other stations also use gas prices as a loss leader, but with smaller profit margins. Speaking just prior to the holiday weekend, McTeague said the base price for a litre of gas in Ottawa was $1.24. Anything lower is below cost. According to McTeague, the oil companies killed off many of the independent stations in Ontario in the late 1990s. Now, it’s mini-market store/stations that dominate the market. Convenience stores hope to sell gas at a price that will attract customers into the store. Sometimes that means selling gas for little or no profit. Diesel and premium gas provide higher margins for stations, according to McTeague. Otherwise, because stations all pay virtually the same price for fuel, the retail profit margin is the 12-cent or 13-cents above $1.24, at least in Ottawa. When the price hovers around $1.24, sales of cigarettes, pop and chips drive station profits, not the sale of fuel.